Update: These features are now available! 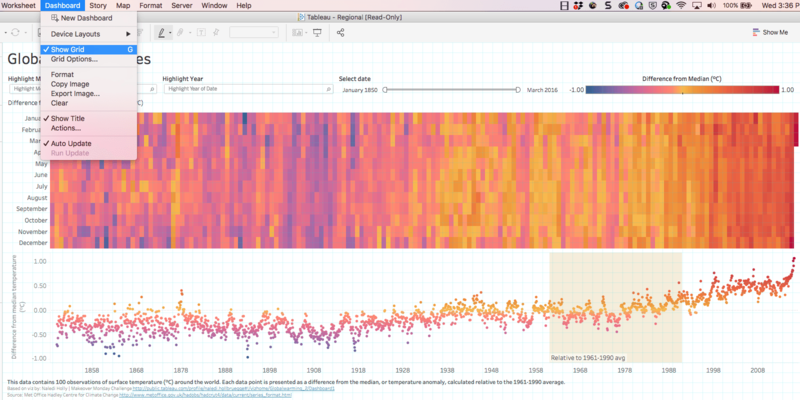 Check out the latest release of Tableau. 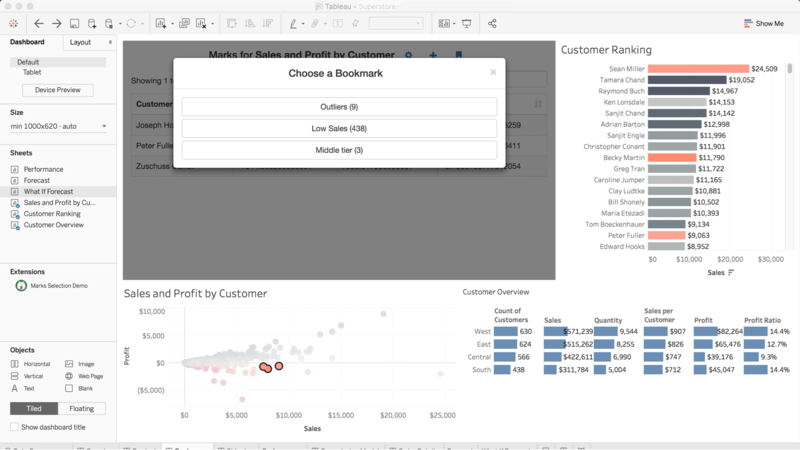 We're expanding what's possible in Tableau in our newest release—Tableau 2018.2—now in beta! 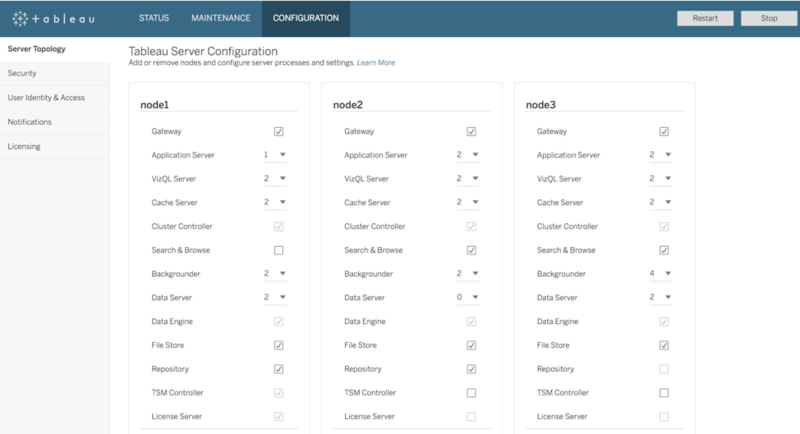 This release brings major new functionality, whether you’re an IT admin, analyst or developer. Use dashboard extensions to interact with data from other applications directly in Tableau. Join datasource when the only common attribute is location, with Spatial join. Tableau Services Manager provides an improved experience for administering Tableau Server for Windows and Linux via the browser. Make your dashboards even more beautiful, with new easy-to-use dashboard formatting tools including automatic mobile layouts, dashboard grids, and transparent quick filters. Dashboard Extensions give users the ability to interact with data from other applications directly in Tableau, providing the full functionality of third-party applications without ever leaving a Tableau dashboard. During Tableau Conference 2017, we previewed the Extensions API. Since then, an active community of developers has been hard at work building powerful capabilities like dynamic parameters, deep integrations with other applications like Salesforce, and the ability to write-back to a database. With extensions, users get direct access to their data from other applications, all while staying in their analytical flow. Site administrators have full control of which extensions are allowed to run on their site. Try the clear filters extension built by Tableau’s engineering team in beta today. You can now join data together when the only common attribute is location. Intersects work between points and polygons, allowing you to aggregate any measure at the level of detail of your custom geography. Now you can ask and answer even more questions of your geospatial data. Tableau Services Manager (TSM) is a brand new browser based, Tableau Server admin experience, replacing tabadmin. You can use a new visual interface or a command line and REST APIs to deploy and manage Tableau Server for Windows and Linux. Now you can perform more administrative tasks in the browser, without needing to use a remote desktop connection. With TSM, you can also manage hot topology changes for backgrounder and VizQl Server processes without having to restart your Tableau Server, giving you greater admin flexibility and less downtime. For the viz artist in all of us, you now precisely control your dashboard zones with grid formatting. With grid lines, you can see a grid overlay above a dashboard and use keyboard arrows to move and resize floating zones pixel by pixel. To help with better visual alignment, you can even see a preview of dashboards zones when moving their position. Perfect your design in minutes instead of hours. Now it’s even easier to make dashboards mobile friendly. Automatic mobile layout creates a phone and tablet layout from your desktop version by applying mobile best practices. Use these layouts as is, or edit the dashboard to create a customized mobile experience for your dashboard. Other Tableau 2018.2 features in beta include downgrade workbook improvements like the ability to understand the impact of downgrading a workbook from Tableau Server or Online before you do it, so you know if a feature might be lost or if the workbook is fully compatible. We are working hard to get Tableau 2018.2 out the door, but first we need your input! We love to hear early feedback to catch any issues and to ensure the highest quality for these new features. The features included in beta and in the final version of Tableau 2018.2 may change over time as we complete beta testing. Engage directly with the Tableau development team through user research, product discussions, and feedback activities around topics you care about. Explore the Ideas forum to see which ones have been incorporated based on your feedback, and continue to add feature requests to inspire our development team! We couldn’t do it without you.